Believe it or not there are patients I see that tell me they have been using Oil of Olay or Noxema since they were young, and they have gorgeous skin! While this is NOT the norm, it is interesting that there are people who just have amazing genes, and the simplest of care serves them well. The best advice to these patients is to continue doing what they are doing because it is working very well for them. However, for the majority of women, we need to have a more proactive approach to enhancing the look and feel of our skin. There are many ways to combat the signs of aging, ranging from the very basic skin care to the most aggressive choice— cosmetic surgery. And individuals, men and women alike, can fall along the spectrum of being completely adverse to any cosmetic procedures to wanting them all! I have found that the best results come from a multi-disciplinary approach, and the foundation for any or all of it is good skin care! Taking care of your skin care is the most important part of combating the anti-aging process. If you don’t have nice and healthy skin, you don’t appear as healthy, and may actually look older than you really are. Healthy glowing skin will help you look many years younger! Having healthy skin is also the first step in beginning all cosmetic treatments. If you are planning on having facial cosmetic surgery, your skin will not only heal faster if it is healthy and correctly nourished, but it will also help enhance the surgical correction. For good skin care at the anti-aging level there is a focus on the COLLAGEN layer. Collagen is a protein support system in the skin that promotes healthy, youthful and firm skin. Collagen is the most abundant protein in the human body, and is thickest when we are young. The collagen layer shrinks with age, making the skin thinner and more prone to develop fine lines, wrinkles, and become saggy in appearance. Aging, thinning of the collagen layer, is accelerated by poor diet, inflammation, smoking, sunlight, and environmental exposures. Reducing the risk to these exposures will help lessen the degree of aging, but for most of us, we can benefit from topical treatments. When I am asked what is/are the most important product in a skin care regimen, I always state that there are three products to never go without: Retiniod (Retin-A family), topical Vitamin C, and sunscreen. Lets take a look at what each of these three “must haves” are all about. Of all the topical anti-aging preparations this group is the most effective for anti-aging. This group is made from Vitamin A and is a powerful ingredient that encourages your skin to increase its own collagen production. Retinols are antioxidants as well, so they interrupt the free radical damage that causes our skin to appear older. It helps skin cells to turn over faster, and fine lines and wrinkles appear softer. Retinols are also used to manage acne and are excellent in stronger versions for sun-damaged skin. Retin-A is excellent at stimulating collagen production, enhancing blood supply to the skin, making its use essential before and after facial surgery. Retinol comes in different strengths, and the lower doses can be found in over the counter creams. Retinoids/Tretenoins are of pharmaceutical grade and are only found in prescription strength obtained from your doctor. Retin-A products work best when applied at least every 72 hours because the mechanism of action in the skin from the product will only last that long. Best results come from applying Retin-A daily or every other day if possible. Some people only apply Retin-A weekly because it dries their skin, but they will not receive the anti-aging benefit from the product. For these individuals it is best to switch to a lesser irritating version of Retinol. One tip to remember is that Vitamin A in any form will break down when exposed to light and air. So, when choosing a Retin-A product make sure to select one in a pump type container, or a tube, never in a jar. In that Retin-A is sun sensitive and can be broken down by sun exposure, it is best to apply Retin-A at night. It is also important to remember that Retin-A will make your skin more sensitive to sunlight, therefore a daily sunscreen is a must to prevent sun burn and sun damage! There are some common side effects from using Retin-A including dry, red, and irritated skin. Because of this, many people feel that they cannot use the product. To combat the side effects, one can choose a different, lesser irritating version of the product. My personal preference is a prescription strength Retinol, because it is buffered and not as irritating as the Retinoid/Tretenoin creams. The goal is not to irritate your skin to achieve a better result. Remember, inflammation actually causes aging! With the right quality and strength of a Retinol, irritation should be minimal, and you should see great results! Like Retin-A, this product stimulates collagen formation and is an anti-oxidant. Vitamin C will provide the same end result as Retin-A type products, but through a different path. Vitamin C is an important nutrient and freely available in our diets, however, very little of what is consumed actually gets to our skin. Topically applying Vitamin C is 20 times more effective compared to ingesting it. Topical Vitamin C is available in many different products and also as a stand-alone product in a serum or cream form. Since Vitamin C also quickly oxidizes with sun exposure be sure to choose a product that comes in a light protective container like brown glass. The best use is to apply a serum, (I use Vit C), as your first product after cleansing your face in the morning. Using a minimum of SPF30 sunscreen DAILY, regardless if it is raining, the sun is shining, or whatever the season, is essential to good skin care. Regardless of the weather we are exposed to UV light rays all day long, that’s even in cloudy weather or the winter months in colder climates. UVB rays are what give your skin color when exposed to the sun, and cause sunburn. UVB also helps our skin stimulate the production of Vitamin D, an essential nutrient for many body functions such as bone formation, anti-inflammatory, blood sugar regulator and many other benefits, but UVA rays are also what cause long term damage to the skin, and accelerate the aging process. When choosing a daily SPF, sunscreen, choose one with at least an SPF30 containing zinc and titanium dioxides. I prefer using a tinted SPF30 cream as the last product I apply before my powder daily. To further help protect my skin, I also use a face powder that contains SPF. This is an essential step every morning if you are using Retin-A products at night. I do have a few other products in my daily arsenal that we will discuss in my next article, including Hyaluronic acid, exfoliants, lighteners & brighteners. NOTE: Bombshell Members can ask Michon questions about this article and any other skin care issues directly on her new “Fabulous Over 40 Specialist” forum on our Social Community. Neuromuscular Modulators—otherwise known as Muscle Relaxers, or Muscle Freezers. They are all derived from the Botulism Bacteria. However, it is important to know this bacteria is a chain of 100 different proteins, and that just one of these proteins is replicated to produce the temporary muscle relaxation. All three have the same mechanism of action, and are manufactured by different companies. Each is an injectable liquid that temporarily inhibits the movement of any given muscle, the cause of wrinkles. Botox was the pioneer, discovered in the 1950’s, and was approved for medical use in 1989. Its original use was for treating eyelid spasms, and a lazy eye. By 2002, Botox was FDA approved for cosmetic treatments, and has gained overwhelming popularity since that time. To date, Botox is the number one cosmetic injectable treatment worldwide. The other two, Dysport and Xeomin gained FDA approval over the past 10 years. Angry lines (between the eyebrows), forehead (worry lines), crow’s feet (tiny lines at the outer corner of the eyes), bunny lines (lines at the inner corners of the eyes on the nose), frown lines, upper lip lines, chin, nose, gummy smile, square jaw line, saggy neck, enhances lips, allow the eyes to look more open, fine lines and wrinkles on the face, neck and chest. A “treatment” for any of the above neuromuscular modulators is done via an injectable “unit”. Unit is a liquid measurement on a medical syringe that delivers the selected amount. For example, the angry lines between the eyebrows may require anywhere from 10-30 liquid measured units for a treatment. Builds confidence, makes one feel more attractive, look less tired, less angry, more refreshed, less sad, less saggy, more youthful, smoother skin, and studies show reduces depression. Botox: Starts taking effect in 4-5 days, lasts 3-4 months. Dysport: Starts taking effect in 2 days, lasts 3-4 months. Xeomin: Starts taking effect in 2-3 days, lasts 3-4 months. Most common is bruising and slight eye droop, although everyone is affected differently as skin types vary by age and anatomy. Botox and Dysport, because they both last the longest for me. For a treatment of one region, like the forehead, you can expect to pay anywhere from $120-$360. The forehead may require anywhere from 10-30 injected units. The number of units required is based on each individual’s anatomy. For example those with thick skin and thick muscles require a higher quantity of units. Likewise, those with thinner skin and thinner muscles, require a smaller quantity of units. Each has unique qualities, and can be used to enhance, enlarge, correct, lift, or subtly make a person look more youthful. Most people do not want others to know they have had something “done”, most want others to think they just look great naturally. That look is easy to achieve when you inject a smaller volume of fillers with the most precise placement. All products in this group are Hyaluronic Acid dermal fillers (a gel), which is a naturally occurring substance in the skin, joints and eyeballs. Each has a unique quality, and thickness, making them lend to one area of the face over another. For example: Voluma is a thicker and heavier gel, so is best used to lift the cheeks, where as it would be too hard for use in the lips. All last for 9 months, except the Voluma which is 2 years. However, keep in mind that your birthdays aren’t stopping, and the aging process continues. Therefore, some fillers might not seem to last as long as you think they should. Though, over time, the fillers are replaced with collagen, and have a lasting effect from the accumulation of new collagen. The most common treatment approach in my practice is a very conservative one. I gradually restore lost volume by placing a moderate amount of dermal filler at 4-6 week intervals until the patient has their desired outcome. Once this goal is obtained, the patient will go on a maintenance schedule to have filler added again anywhere from 6 months to 2 years later. Keep in mind what you had enhanced, or corrected 6 months ago with a 9 month dermal filler, may need to be treated again at an earlier time than what you expected. This is the case the more mature we are, and depending on what degree of correction you desire to maintain. Laugh lines, frown lines, cheeks, lip lines, lips, chin, jowls, around the eyes, between the eyebrows. 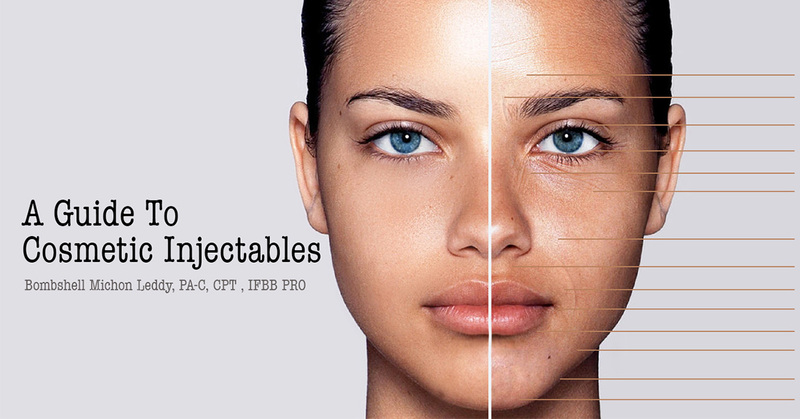 Any of the above regions can be injected to enhance or correct, all depends on the volume of the filler you inject, and what your desired outcome is. Calcium based filler which is great for those with thicker skin. This filler is expected to last 18 months. But keep in mind that you may like it for less time, or longer. Cheeks, laugh lines, frown lines, chin, jowls, and the back of the hands (remember they give away your age too!). This product is too thick and hard for use in the lips. Lactic Acid crystals suspended in liquid. This product is not a “filler” per se, rather it is a liquid injected deep into the skin that stimulates the production of collagen over time. This product is very nice to address the thinning of skin as we mature. For most people this requires a few treatments, but is very nice when combined with the dermal fillers. This product does not wear off over any given amount of time, as its end result is to thicken the collagen in your skin. The aging process is what causes the collagen layer to thin, and that process will continue on, but this will lessen and repair that process quite nicely. Bovine suspended polymers (tiny plastic beads). This product is also not a “filler” per se, it stimulates the production of collagen over time. I do not inject this product, as the polymers are in the skin forever and do not dissolve. This product will not wear off over any given amount of time. Keep in mind, the polymers are there forever. Swelling, and bruising are the most common and if they occur will only last a few days. There is always a risk of infection, though if proper techniques are used this is rare. The good news with fillers is that if you are not happy, they eventually wear off. There is also an injectable antidote to “erase” any of the Hyaluronic Acid fillers if needed. Prices range from $450-$900 per syringe, depending on the filler. Shop around! Ask your friends! Make phone calls and ask about the injector, how many years of experience, how were they trained, where did they attend medical school, and what year did they graduate. Go in for a consultation and meet the injector. The best way to know if the medical provider is licensed and certified in Cosmetic Injectables is to confirm their credentials through the medical board in which they are licensed. This research can easily be done online. I caution to not choose the injector who has the lowest price! It is ALWAYS worth it to pay for experience! Remember this is your face, and it is the first thing anyone sees on you! Stay tuned for future articles from Michon on all topics regarding cosmetic approaches and skin care.